You can dye a bleach stain spot on a natural fiber carpet to a shade of brown that matches the surrounding areas with coffee. Spilling bleach or removing a severe stain with bleach can leave you with a large white spot in the carpet. Spraying the white carpet fibers with coffee stains them light beige to chocolate brown, depending on the amount of coffee applied. Make a bleach spot less noticeable by staining it with a home-brewed coffee dye. Brewing the coffee strong decreases the amount of dye necessary to stain the spot. Brew 2 cups of coffee, using twice the amount of ground beans recommended by the coffee maker manufacturer. 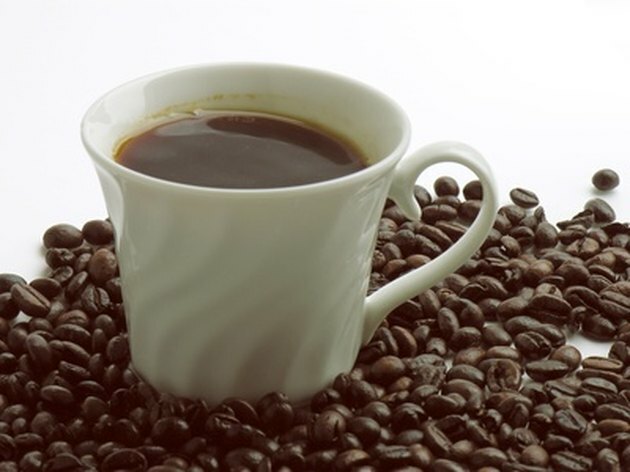 Avoid using flavored coffees, as they leave carpets with a much stronger scent than the coffee alone. Pour the coffee and 1 tbsp. salt into an adjustable nozzle spray bottle and screw on the lid. Adding salt to the coffee makes it easier for the carpet fibers to absorb the coffee dye and retain its color. Protect areas of the carpet that do not need to be stained from dye overspray by laying down a few towels around the bleach stain. Spray the coffee and salt mixture over the bleached area on the carpet in an even mist. Allow the sprayed-on coffee dye to dry for twenty minutes after each application, then inspect the color under full light. Continue to apply additional thin coats of the coffee dye until you are satisfied with the color.